I love decorating walls because you can keep adding to them without taking up valuable floor space. If you are going for a shabby chic style, you may be looking for some unique wall art ideas in keeping with your decor. Sometimes just a picture on the wall isn’t enough – so… I have found some inspirational diy wall art for you. All of the ideas are sure to get your decorating head a buzzing. One idea is to use old windows. I used this old window very simply by hanging it as is and then just clipping a floral pick to one of the panes with a distressed metal clip that I had. You could also fill the panes with photos, cork board, or other art work. 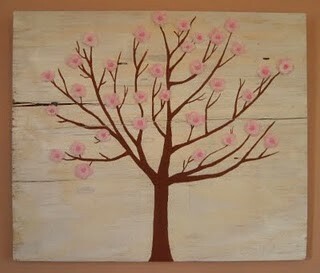 This beautiful crab apple tree wall art was created by Missy at Marvelously Messy. She used a section of sub flooring for the wood base. Check out her blog for the tutorial for this great piece. Flamingo Toes uses a chicken wire screen door as a base to hang other wall art in her dining room. 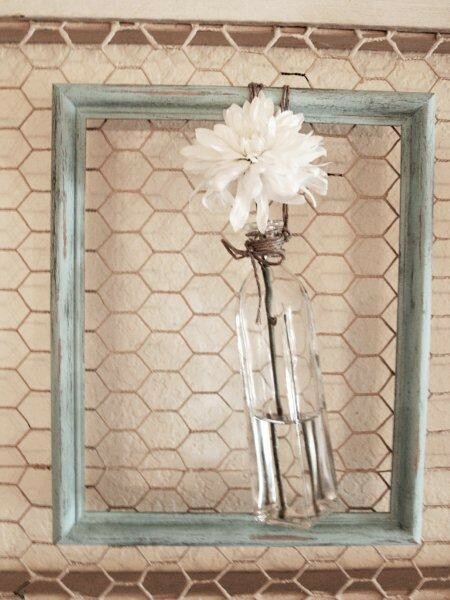 This is such a funny shabby chic idea. The framed vases with Spring flowers add such a nice bright spot to the wall. 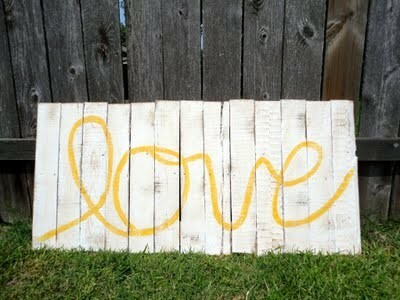 Young and Crafty makes a shabby sign from pallet wood that will add a smile to any room. Check out her easy tutorial to make one of these yourself. 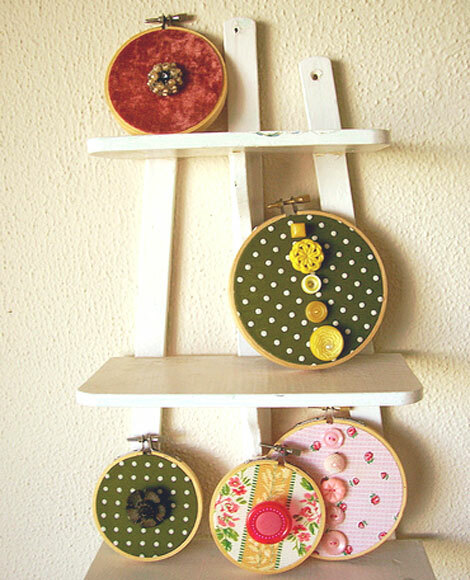 Here is a fun idea by Lushlee using embroidery hoops and vintage buttons. I like the distressed wood shelving unit these are displayed on too! I mentioned old window earlier and to go right along with that would be old shutters. 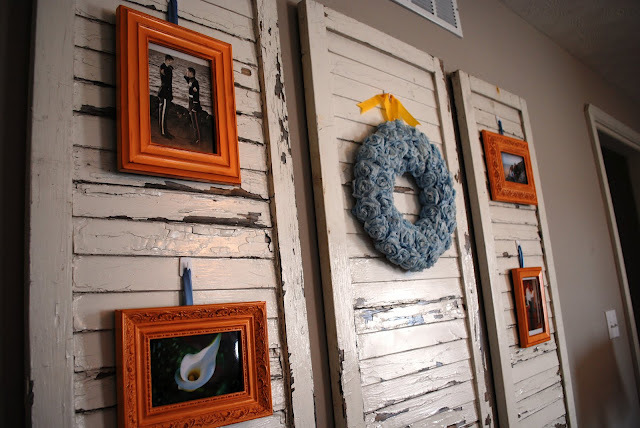 A Glimpse Inside gives a great example for using shutters as wall art. They make a wonderful base for pictures, wreaths and other decor. Love the shutters too. Gonna’ pass that along to my biz partner. She’s got some chippy green ones. Thanks for continuing to make my head spin.